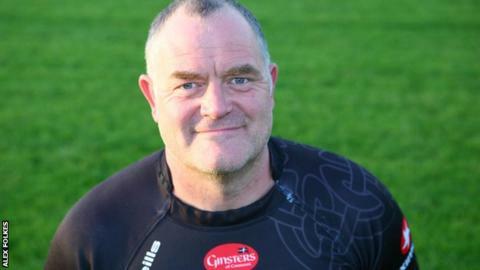 Launceston boss Cliff Rainford says his side's discipline is improving, despite his side getting two yellow cards and a red in their 26-13 loss at Henley. Richard Bright and Neil Bayliss were both sin-binned midway through the first half before Bayliss got a second yellow just after half time. "It was an improvement, yes there were two yellow cards and a red, but that was the way the game went," he said. "On any other day decisions could have gone the other way quite easily." Rainford said some of the decisions by the referee were '50-50' as the Cornish All Blacks tried to get a losing bonus point at the National Two South leaders. Last week he after their loss to Shelford, in which they conceded a penalty try. "Discipline's something we're still working on and something we'll keep working on all season. "But with the fiery nature of the game, Henley realised they weren't going to get a runaway score, everybody dug deep from both sides and it became a hard-fought game."